Home » Posts Tagged "Journados"
Fourth in a series featuring the talent in action working on the photos in the Archives. 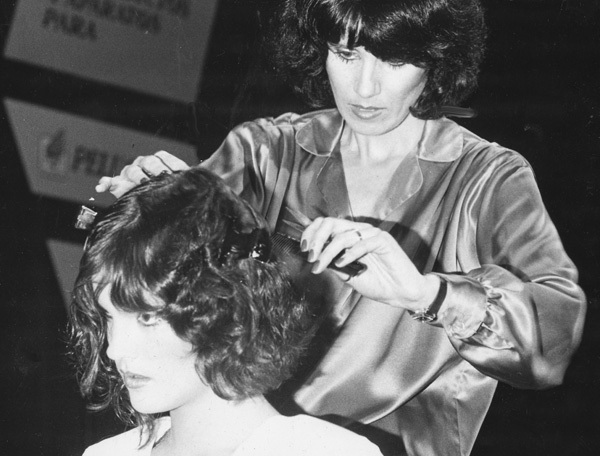 Here is La Coupe’s Kim Lepine working on her wave cut, in 1978. This was the first bob with layers and it featured cut-in waves. She was on stage here at the Jornados Internacional in Barcelona in front of some 2,000 people in the audience. For the finished look, click here More of her beautiful, wearable and original work can be seen in many of La Coupe’s albums from the ’70s to the ’90s on the website. Just click away.